One small change in your weekly routine can boost your overall well-being. 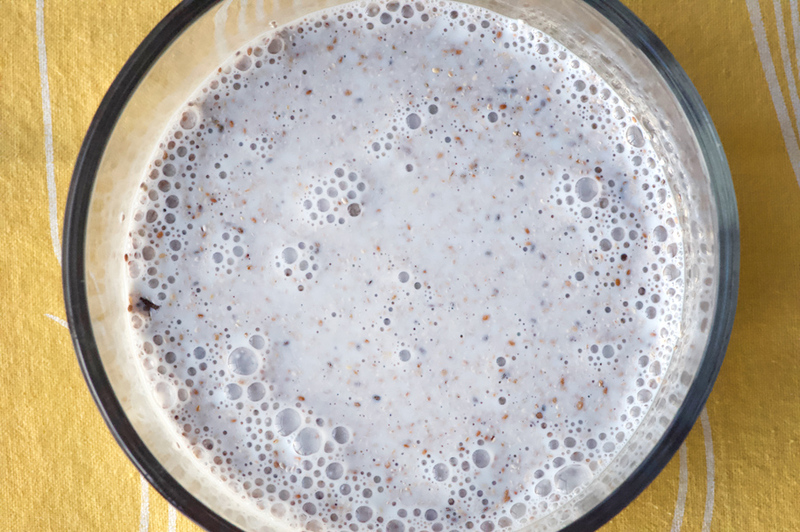 Taking only 15 minutes of active time to make, this chia pudding can be added to your weekly breakfast rotation with ease. Among the healthiest superfoods on the planet, chia seeds deliver a massive amount of nutrition with very few calories. The tiny seeds pack in protein, fibre, antioxidants, iron and calcium. Lucious mango sauce and juicy blackberries top the pudding for a breakfast you’ll actually look forward to waking up to. What I love about this quick fix is how it keeps me full and energized all morning. Begin the night before, as the chia seeds need time to soak and thicken. In a sealable container, add the chia seeds first. (Start with the chia seeds on the bottom as it’s easier to stir them in that way. 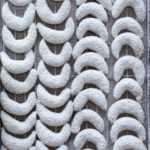 They are very light and will float when added on top of liquid.) I prefer using white chia seeds as I find the black seeds tend to clump up and don’t combine with the milk quite as well (and the white seeds look a bit nicer) but black chia seeds will work if they are all you have on hand. Next, add your milk. This can be any milk of your choice—I just use regular 2% dairy, but you can also use almond milk, soy, etc. Give it a good stir with a fork and let sit on the counter for a minute or two. Then stir it up again before covering and placing in the fridge to rest overnight. I find this extra stir helps ensure the seeds don’t settle on the bottom of the dish, where they can clump together a bit the next day. 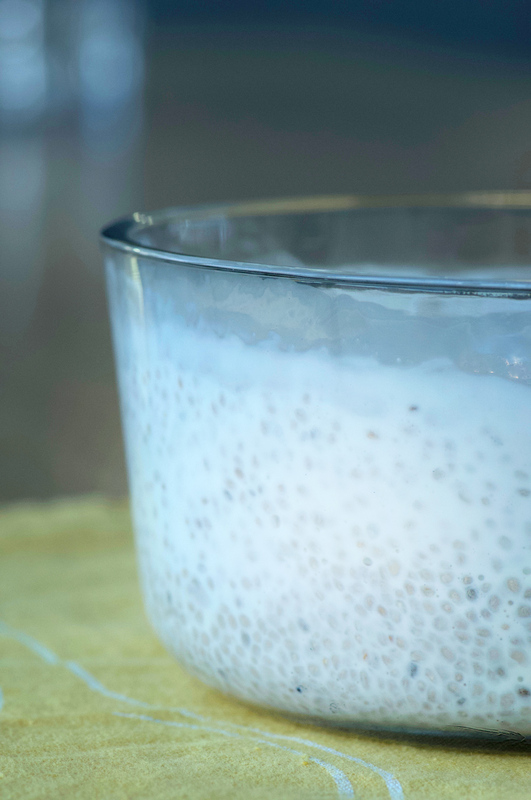 The next morning, you’ll notice the milk has thickened and the chia seeds have absorbed much of the liquid. 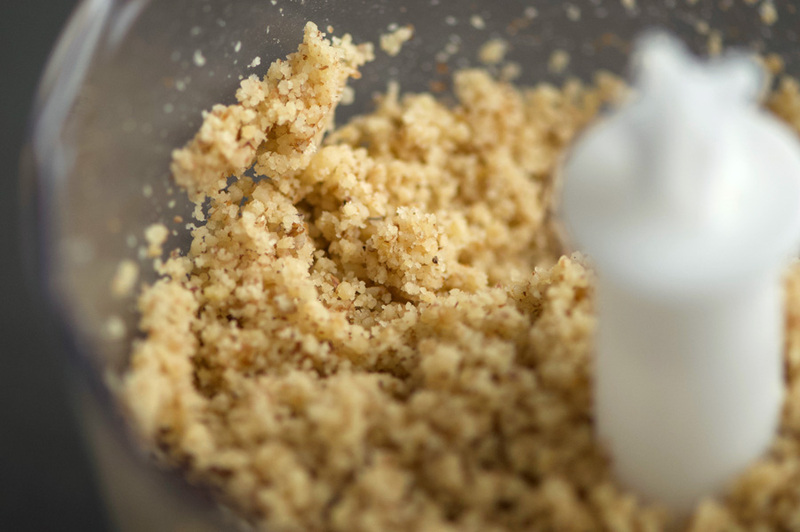 Add in plain greek yogurt and stir to create a nice, rich pudding texture. Set aside—you now have a versatile chia pudding base that can become a healthy staple in your breakfast repertoire! Next, make the mango puree (you can also make this the night before to save yourself time in the morning). Combine mango chunks and the juice of half a lemon and puree. Give it a taste—if your mangos weren’t quite ripe and on the firm side, the puree might need a touch of sugar or honey. If your mangos are very ripe and sweet, add in the second half of the lemon juice. Ideally, make this with very ripe mangos so that no additional sugar is required. 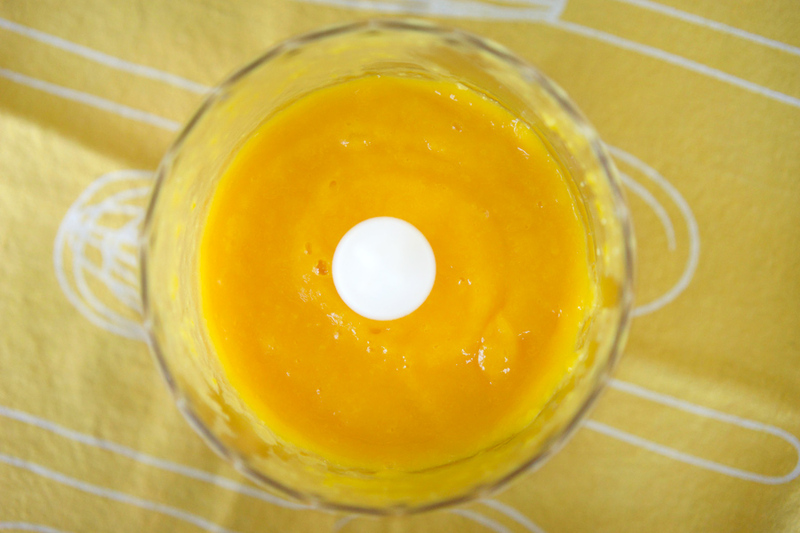 In fact, this puree is a great way to use up over-ripe mango that has become fibrous as the blender breaks down all the stringy bits, and lemon juice brings back the tart quality of fresh mango. Finally, layer all of the ingredients into your breakfast serving. Confession: I don’t use fancy parfait glasses like the one in the photos for my daily breakfast, just a regular bowl does just fine! But the glass does show the layers off well, and if you were making this for brunch with friends, they are a nice touch. Start with fresh blackberries at the bottom of the dish. Next layer on the chia pudding, followed by mango sauce and then a bit more chia pudding on top with a few berries for garnish. (Use 1/3 of the chia pudding per serving) If you have some large flake coconut it adds a nice crunch on top. 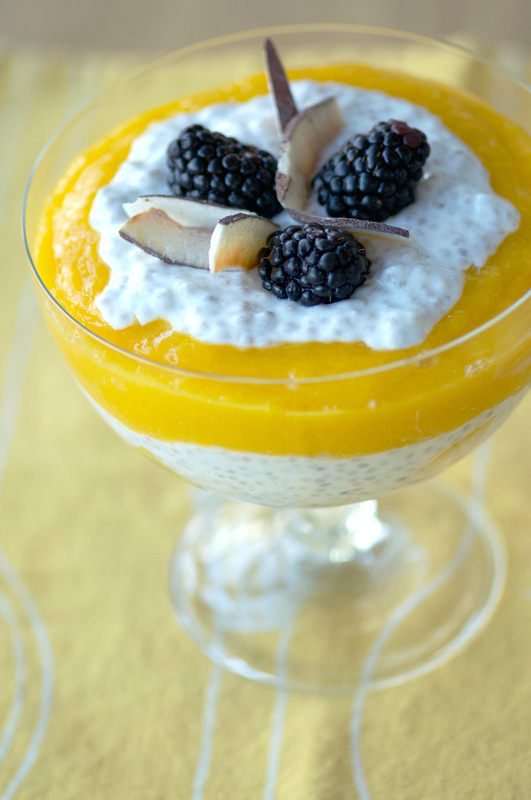 There is enough chia pudding for 3 servings—it keeps well in the fridge for up to 4 days, along with the mango puree. Even if you make a batch of this for yourself once per week, you’ll be having a superfood breakfast regularly to give you energy and boost your health. No time to make the mango puree? No problem—just use any fresh berries with a bit of honey and granola to top off the chia pudding. Try making it on a Sunday night and see how you feel by Wednesday after having it for three breakfasts in a row. Personally, I’m hooked—the mix of protein, nutrients and fresh fruit keep my energy high and my morning well-fuelled. It’s amazing how one small change to your weekly routine can make a big difference to how you feel. 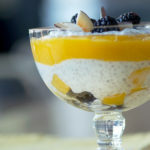 You just might get hooked on this healthy indulgence too, and make chia pudding part of your morning breakfast routine. I would love to hear if chia pudding is your new binge—leave a comment and let me know what you think! Healthy, delicious and filling, I make this for chia pudding for breakfast every week, changing up the berries depending on what looks good at the market that week. 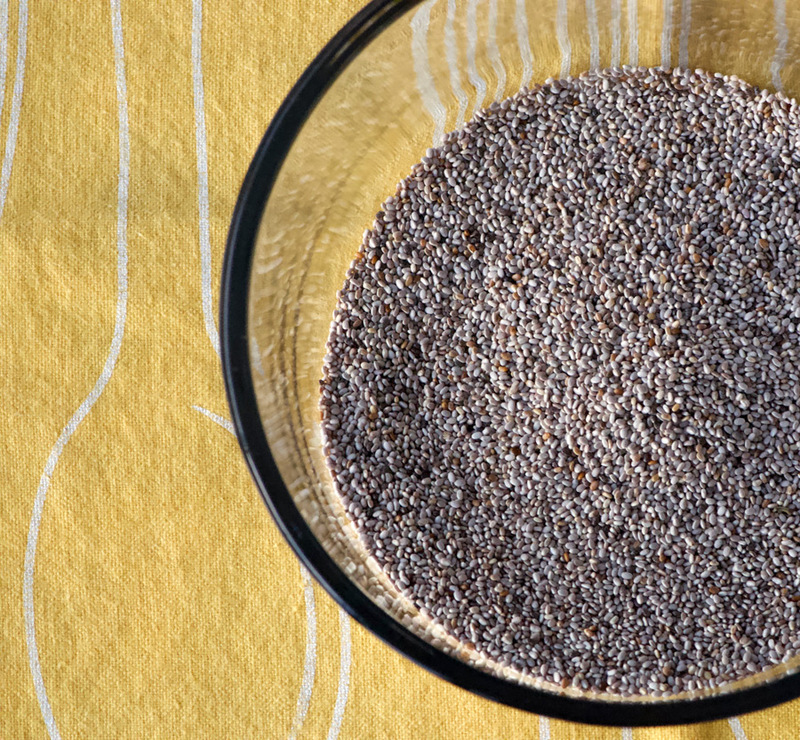 Place chia seeds in a medium bowl (large enough to hold 2 cups). Add milk over top of seeds, stirring well with a fork. Let sit on counter for 2–3 minutes, and stir again. Transfer to fridge for a minimum of six hours, or overnight. Add yogurt to the chia seed mixture and stir well to combine to create a nice pudding texture. 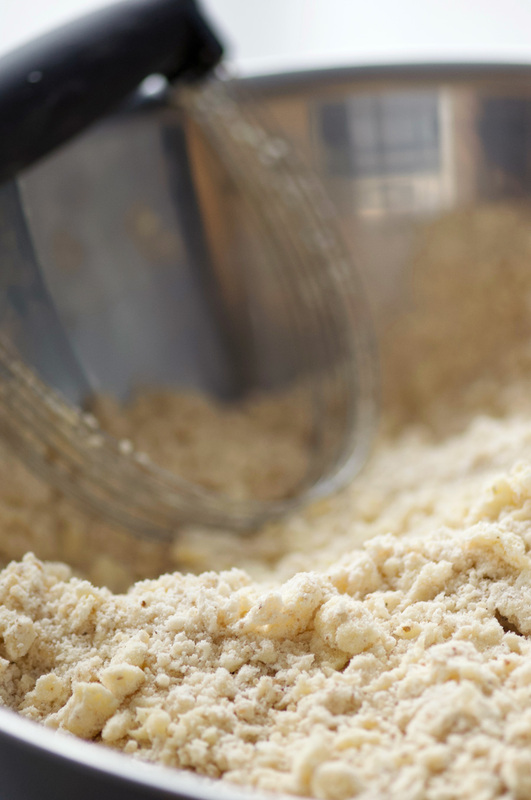 Combine mango and half of the lemon juice in a small food processor. Blend until well combined. Taste the puree—depending on how ripe and sweet your mangos are, you may want to either add a bit of sugar or honey if it tastes sour, or add more lemon juice if the mangos were very ripe and it is tasting too sweet. 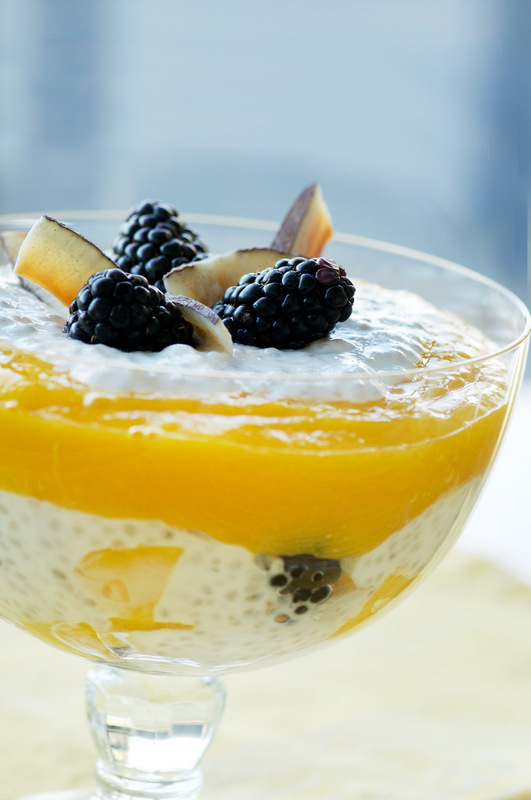 In your serving bowl, layer berries, some chia pudding, mango puree and a bit more chia pudding. (Use a third of the pudding per serving) Top with additional berries and garnish with coconut flakes. Serve and enjoy! The mango puree is a great natural sweetener, but if you don't have time to make it, just use your favourite berries and drizzle with a bit of honey. Also tastes great with a bit of granola on top. 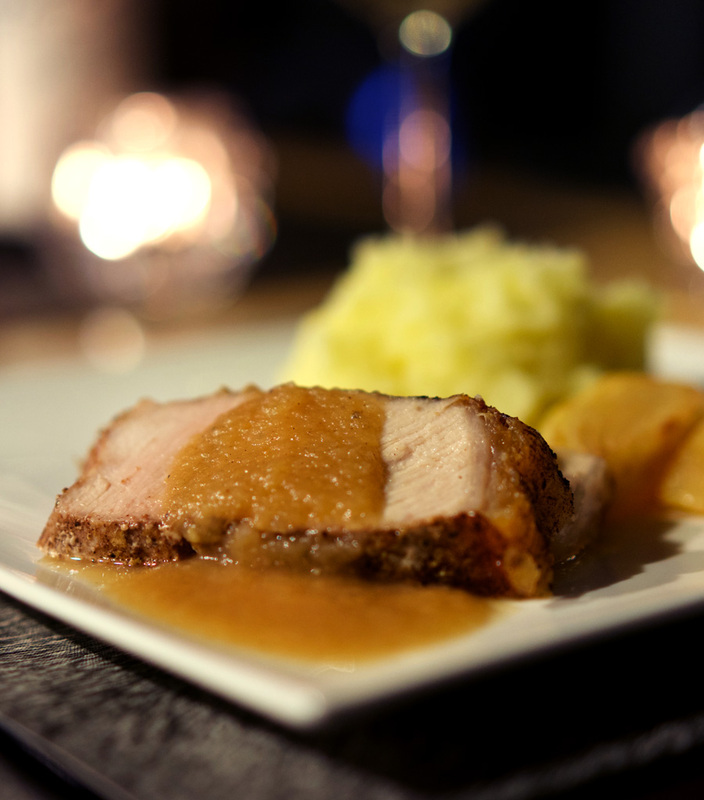 Savoury, spiced and sweet—this roast brings it all together for an elevated take on the classic applesauce and pork pairing. Roasted apples and onions come together with fresh apple cider, maple syrup and pan drippings for an unbelievably flavour-packed gravy. Cinnamon, ginger, lemon zest and spices add subtle complexity to round out the dish. 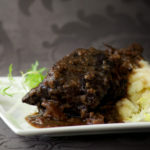 Perfect to enjoy with crisp Riesling on a cool late autumn evening with candles flickering to brighten the dark evening. 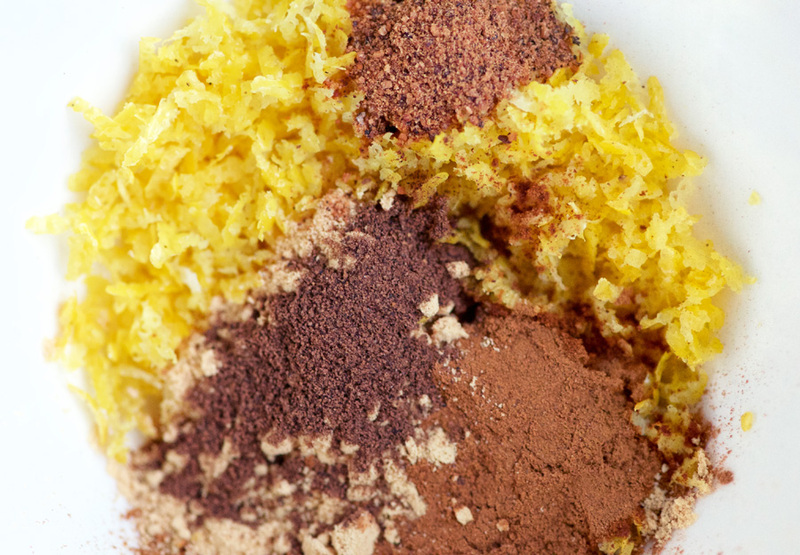 To start with, combine the spices and lemon zest together. Next you’ll split the mix between two bowls, as you’ll use half as a dry rub on the apples and onions, and the rest mixes up with olive oil to rub into to the pork roast. 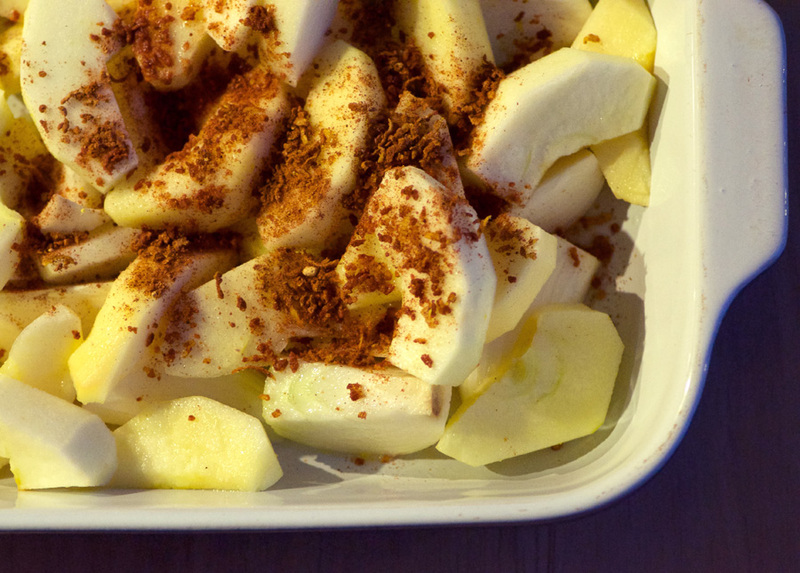 Toss the apples with the spice mixture in the roasting pan, and add water to the dish. 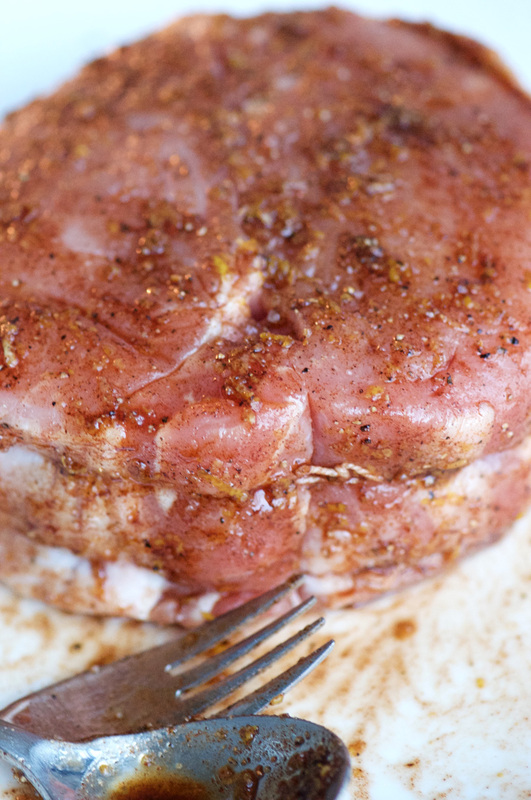 Rub the pork with the olive oil spice mixture, and allow to rest at room temperature for 45 minutes to an hour to allow the meat to come to room temperature before roasting. As the roast emerges from the oven the fragrances of spice and onion is soooo good! 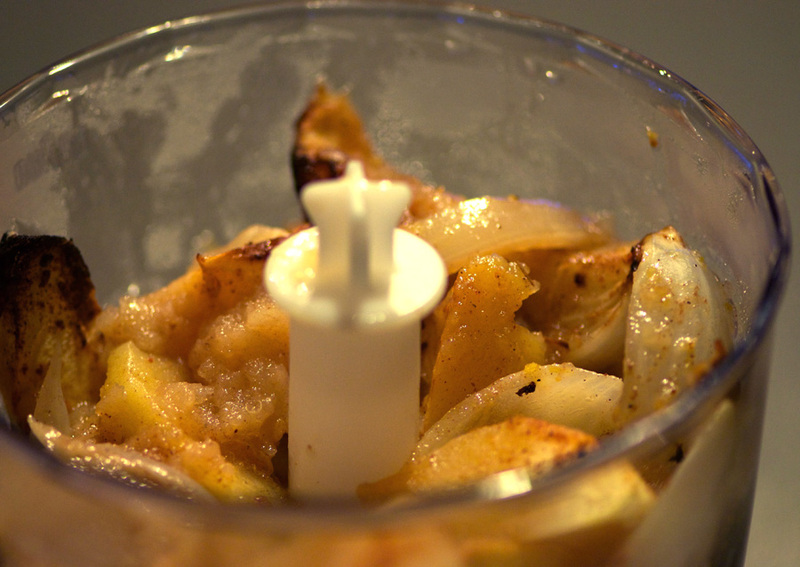 Remove most of the apples and onions (reserving just a few as garnish), top with the pan drippings, and blend into a puree. 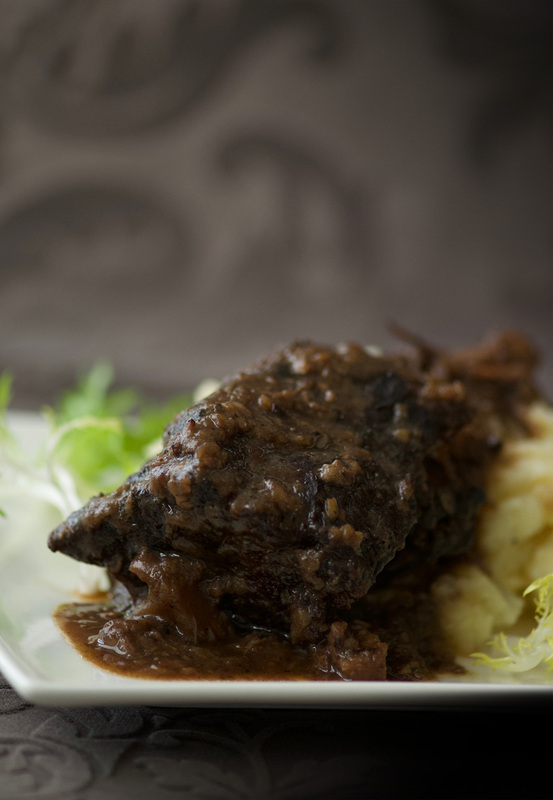 Add the puree to a small pot you’ll have simmering with apple cider and maple syrup, and you have pure apple onion gravy magic. 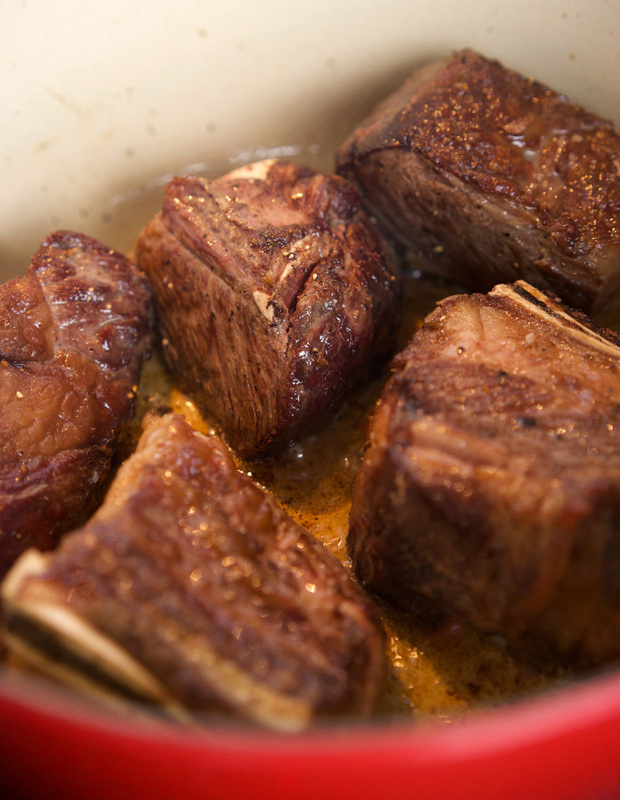 Slice up the perfectly cooked roast, juicy with just a faint trace of pink. 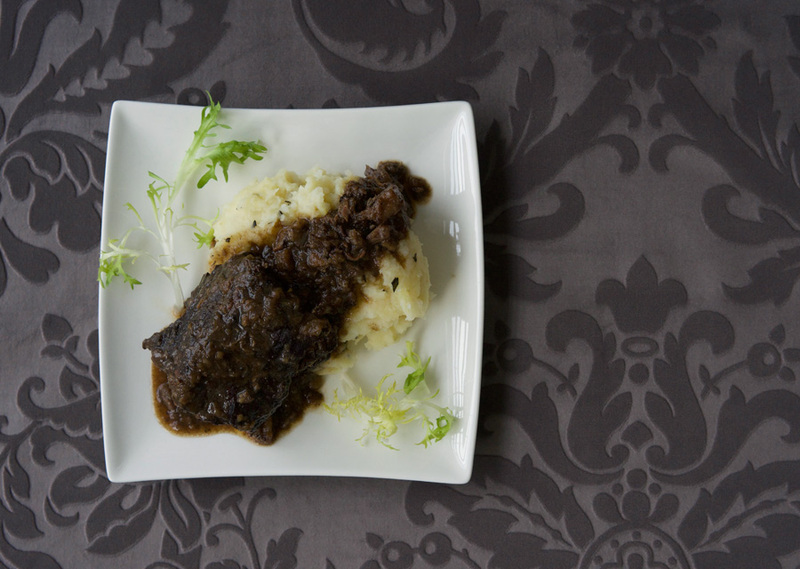 Slather with apple onion gravy and enjoy with mashed potatoes, Brussels spouts or your favourite veg. Light some candles, uncork a bottle of Riesling, and turn one of those long, dark winter nights into cozy instead of cold. 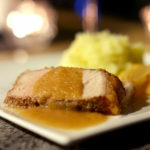 The classic pairing of applesauce with pork is elevated with a zesty spice rub and apple-onion gravy that's so good, you'll want to just eat it straight up. In a small bowl, combine lemon zest and spices. Take half of this spice mixture, move it into another bowl and add olive oil. Season pork with salt and pepper and rub with the oil spice mixture. Allow to rest for 45 minutes to one hour before roasting. 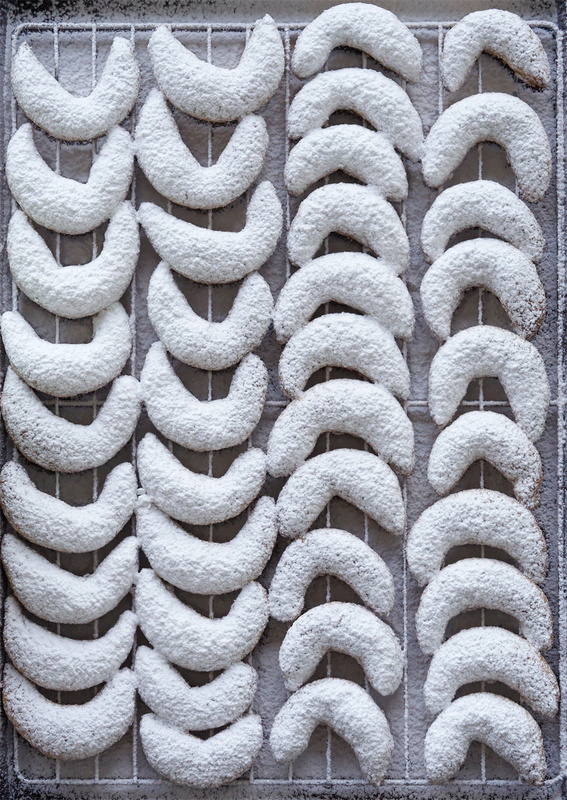 Heat oven to 375°. 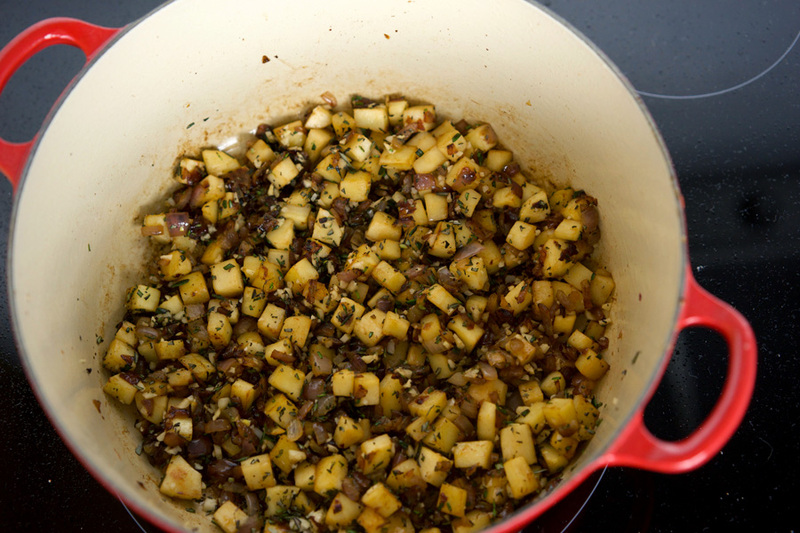 In a roasting pan or deep baking dish, toss apple and onion wedges with lemon juice and the remaining spice mixture. Add 1/2 cup water, and place pork roast on top. Roast until internal temperature reaches 145°. 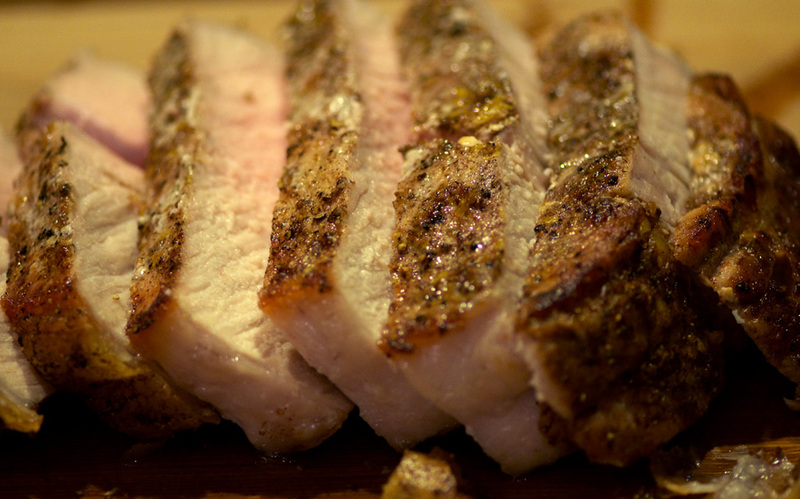 Remove roast to cutting board and tent with foil, allowing to rest for 5–10 minutes. 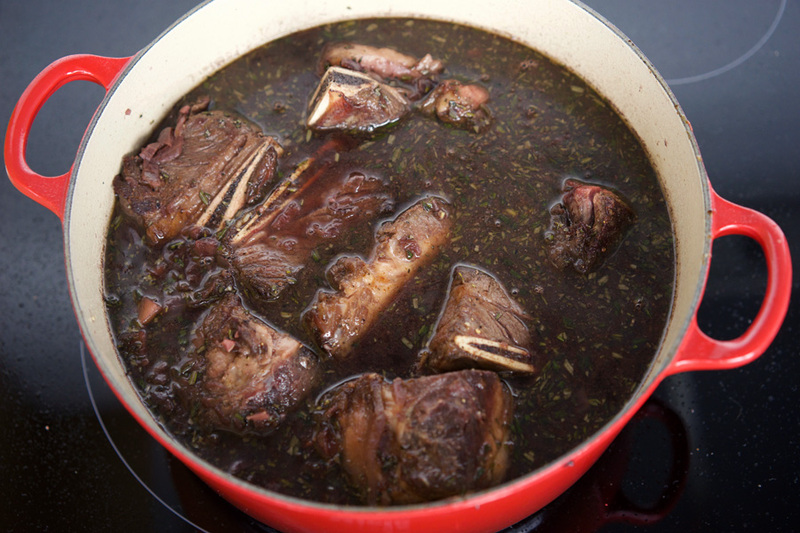 While pork is roasting, combine apple cider and maple syrup into a small to medium saucepan and cook over medium high heat, bringing to a boil. Allow to simmer for a few minutes to reduce slightly. Remove from heat and set aside. 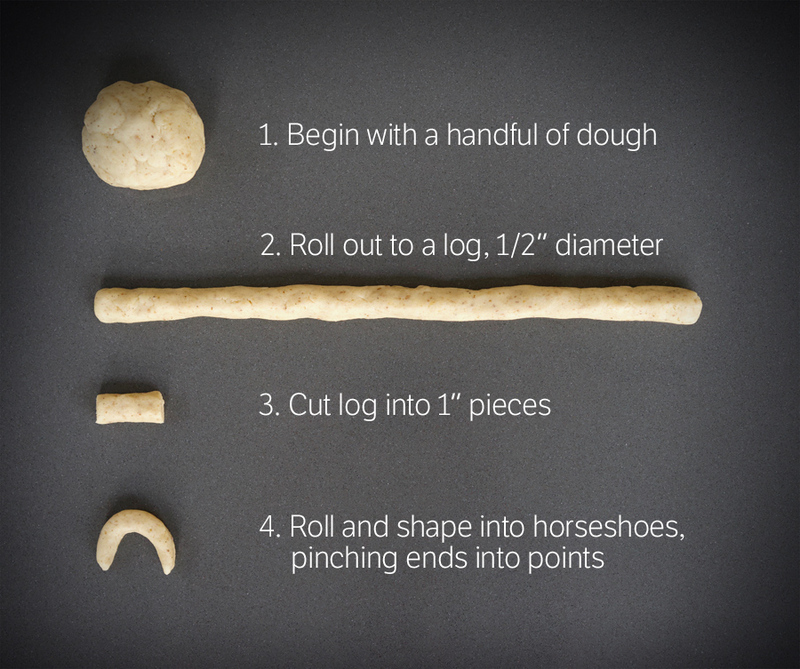 Set aside a few apple and onion wedges for plating. In a mini-food processor or blender, blend the remaining roasted apples and onions along with the pan drippings until smooth. Add puree into the apple cider mixture and heat over medium-low heat to warm. Season with salt and pepper to taste. 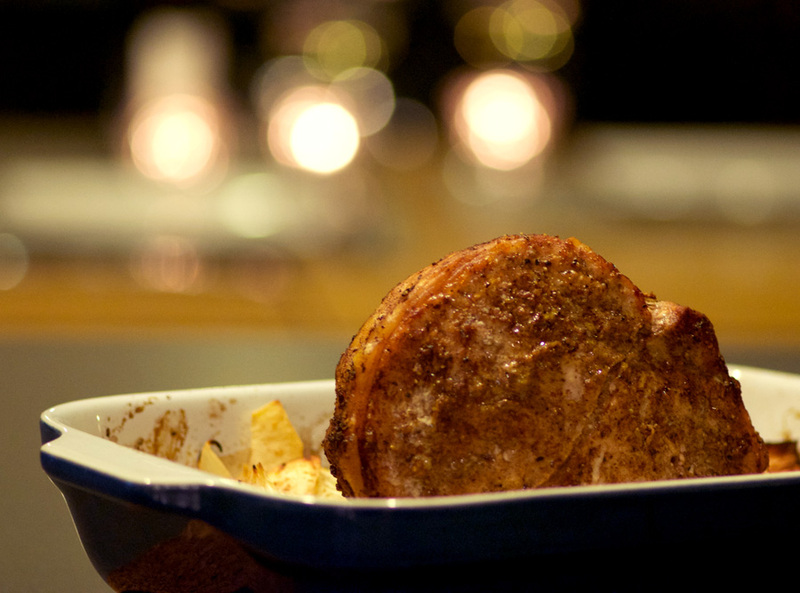 Slice pork roast and serve with apple onion gravy on the side, garnished with the reserved apple and onion wedges. Most salads just don’t cut it for me when it comes to lunch. I still feel hungry and typically find myself rewarding my “healthy lunch” with cookies to fill the void in the afternoon, offsetting any healthy gains I thought I was making. Not to mention, leaky salad dressing making a mess of my containers (or worse, my backpack!) is not fun. Read on to learn how to meal prep this salad with all the flavour but none of the leaking. 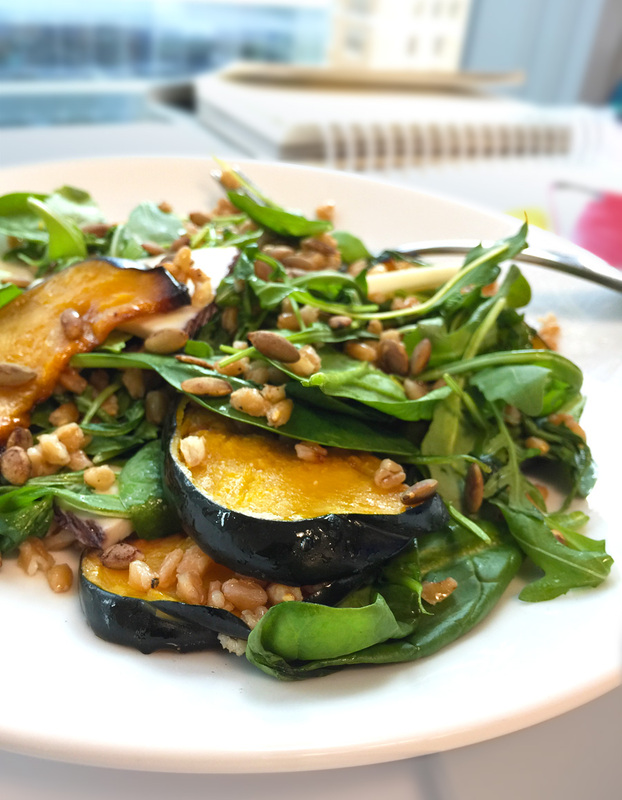 With hearty acorn squash, farro, pumpkin seeds and a few slices of aged goat cheese, this salad is satisfying and delicious. Oh, and pretty good for you, too! Next, prepare two baking sheets with parchment paper (or just use a light coating of olive oil on a baking sheet if you don’t have parchment—mainly I find the parchment helps speed up the cleanup afterwards). 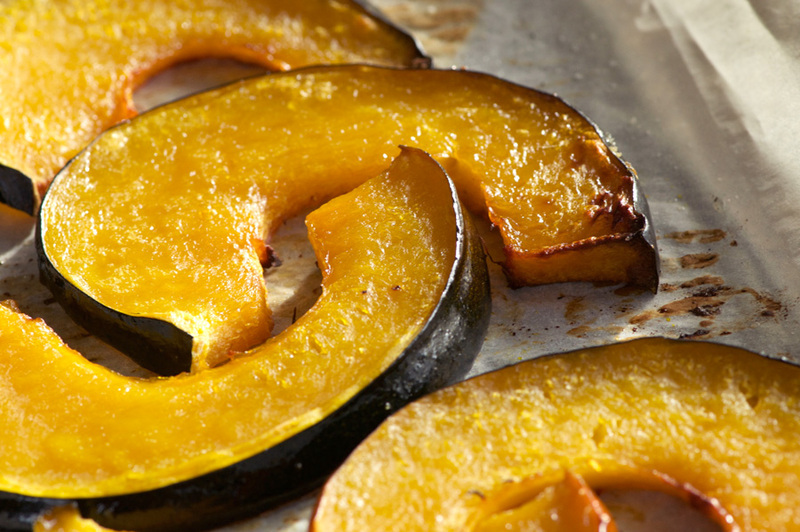 Place slices of acorn squash on top (with a light coating of olive oil, salt and pepper). Roast until golden and tender when pierced with a knife. Then, whip up the dressing. 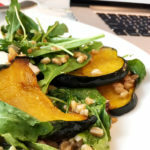 Apple cider, cider vinegar, Dijon mustard, olive oil, and seasoning blend together to create a tart dressing for the farro to offset the sweetness of the squash. While the squash is in the oven, cook the farro. Farro is a really healthy grain that’s great to add to your regular diet. 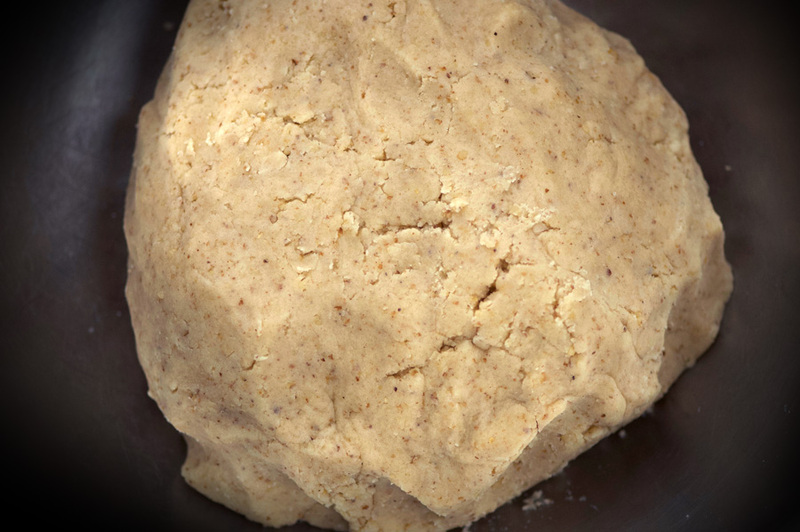 It’s higher in fibre than many other whole grains—twice the amount found in quinoa, and three times the fibre of rice. Cook according to the package directions. I cook mine like pasta, using more water than needed and draining once cooked, which usually takes about 30 minutes. You’ll want to let it cool a bit before dividing it among four lunch containers, spreading it out to cover the bottoms. Then, spoon the dressing overtop and stir it into the grains. This is the secret to avoid leaking—the farro absorbs much of the dressing and also keeps it from making the arugula layer soggy. Next, layer the roasted squash. Finally, top with arugula and cheese slices. To avoid the pumpkin seeds losing their crunch , I wrap them into four little plastic wrap bundles separately, and then add them onto the salad right before eating. 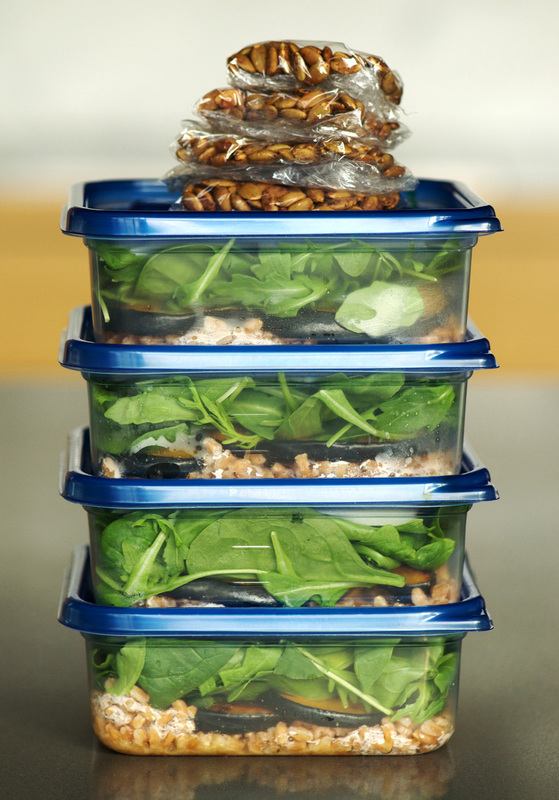 If you are able to get a plate at your office, I like to remove the lid from the container, place the plate upside down onto the container and flip it, so that the lettuce is on the bottom of the plate and the grains are on top, and then stir it all together. You want to stir the layers just before eating to ensure the flavours of the dressing and farro interact with the arugula and squash. If you want to eat this right out of the container I suggest using one that’s a bit larger so you have room to stir everything up. Don’t forget to sprinkle with the pumpkin seeds before eating like I do half the time! 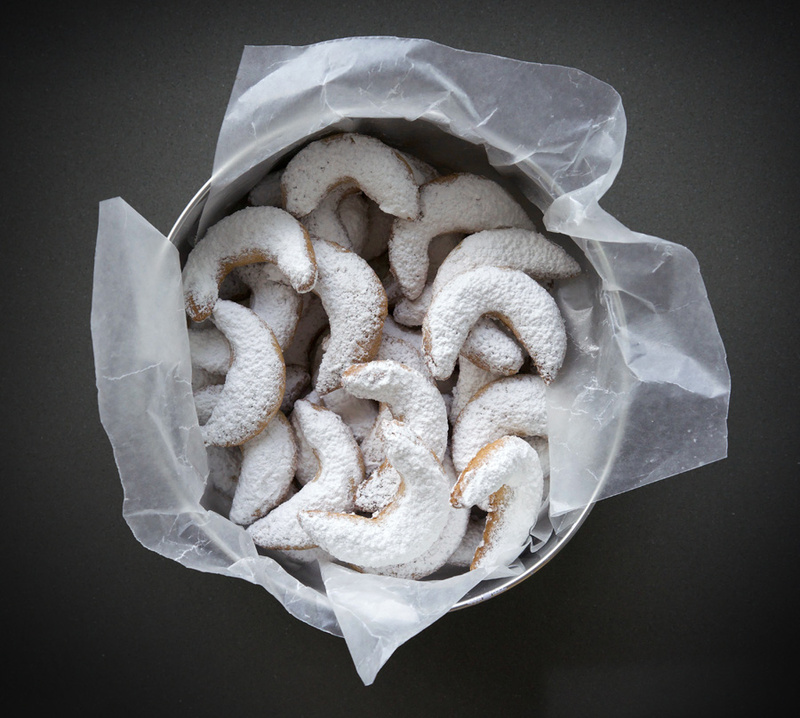 If you forget, no worries, they make a great snack on their own. 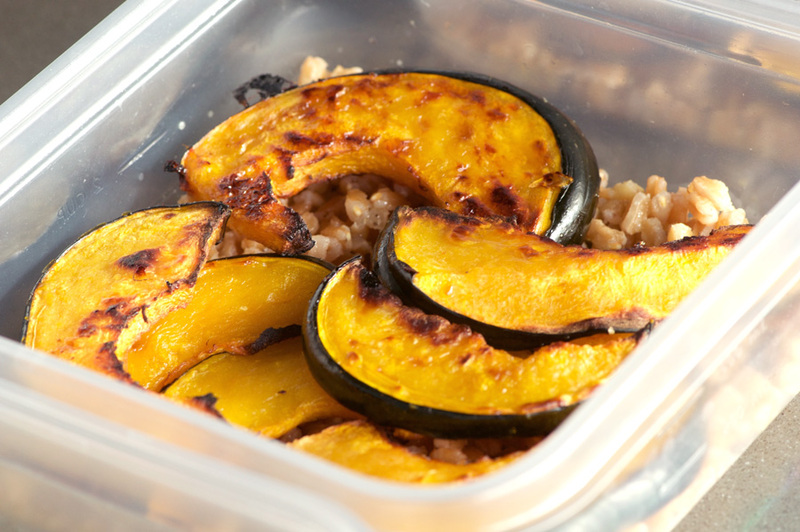 Invest some time in yourself this week and stock your fridge with containers of Acorn Squash Farro Salad for lunches! A satisfying salad that won't leave you hungry, with instructions on how to prep this for lunches you can bring to work without any leaking or sogginess! Preheat oven to 300°. 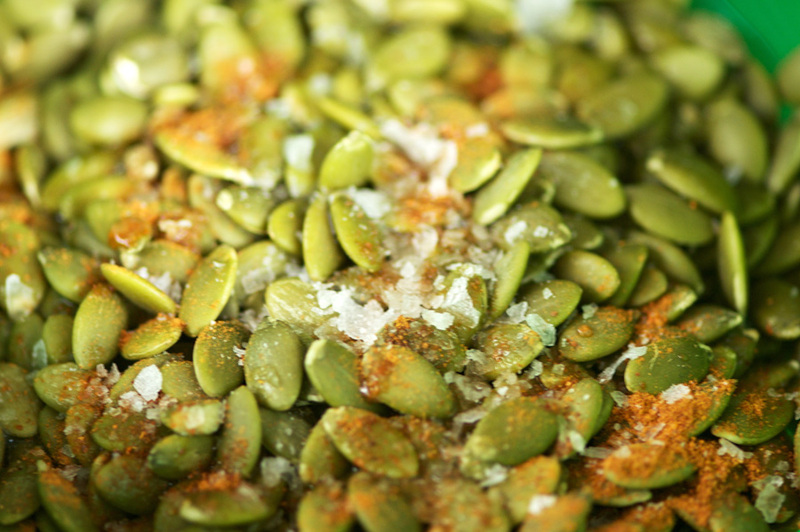 Toss seeds with lemon juice, cayenne and sea salt to taste. 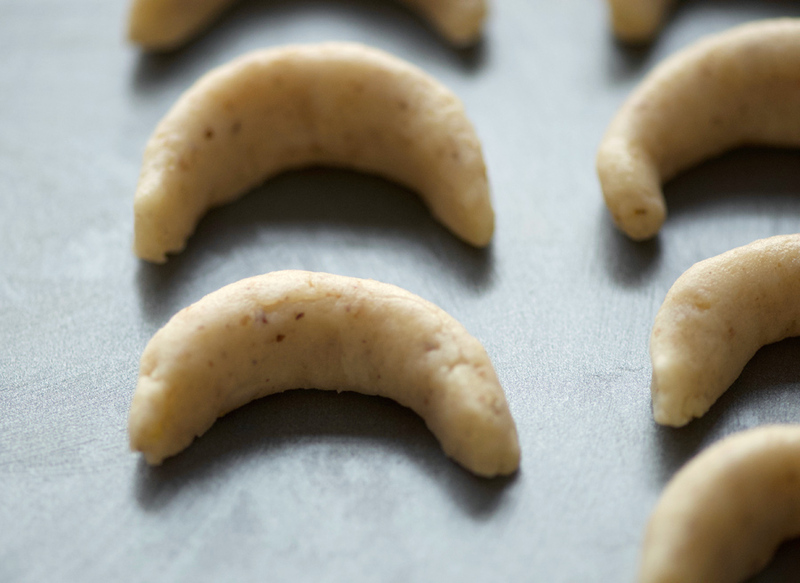 Spread on a parchment lined baking sheet and bake for 12 minutes. 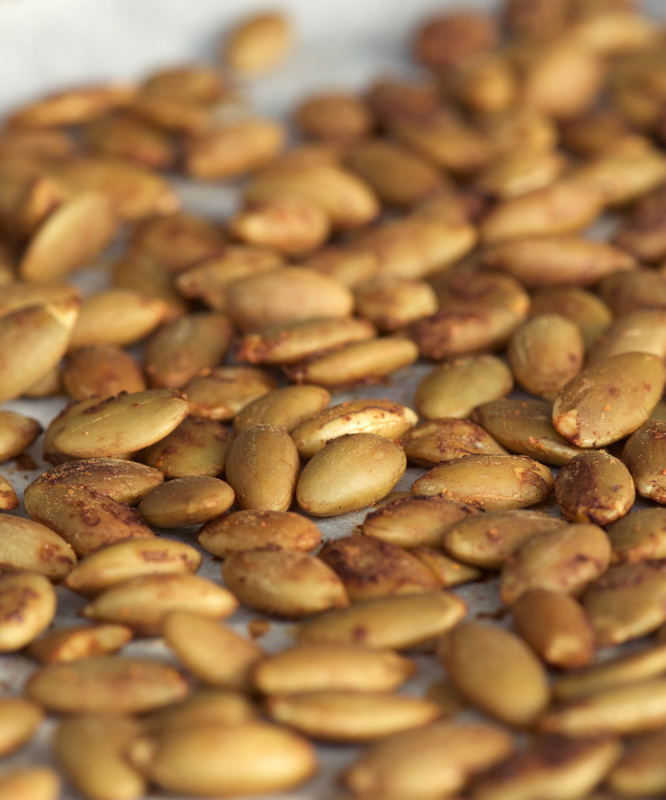 Flip/stir the pumpkin seeds and bake another 10 minutes, until golden and crisp. Remove from oven and cool. 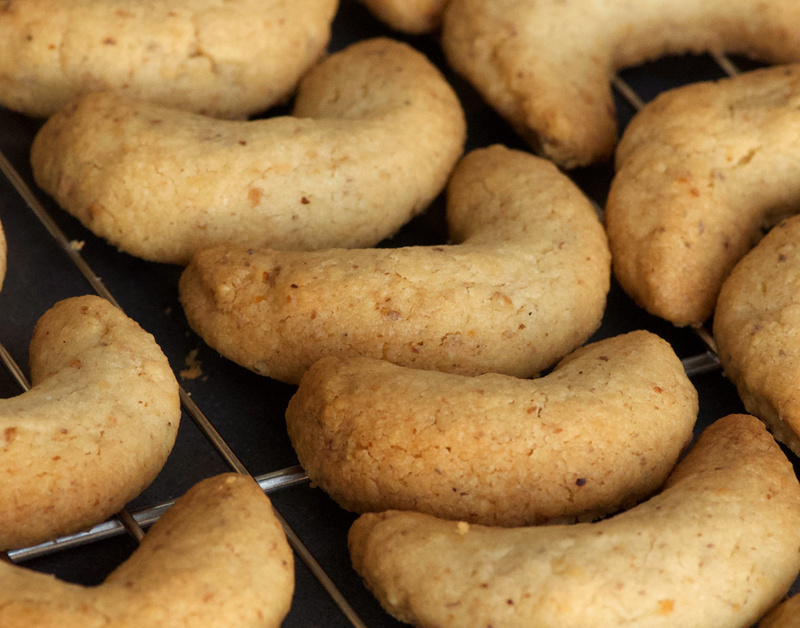 Increase oven temperature to 400°. Line two baking sheets with parchment paper, and add acorn squash slices. Spray with a light coating of olive oil (if you don't have olive oil spray, toss with approx 1 tbsp olive oil) and season to taste with salt and pepper. 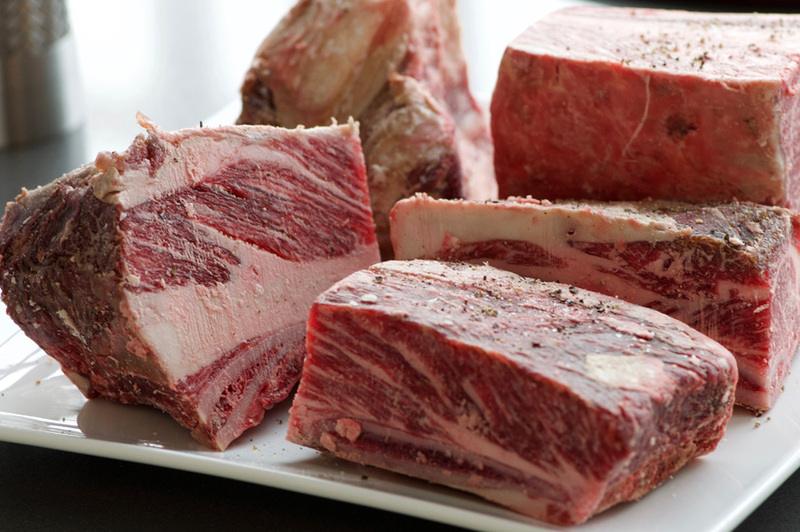 Roast for 40 minutes, flipping halfway through, until golden at the edges and soft when pierced with a knife. Remove from oven and allow to cool. Cook Farro according to package directions, and allow to cool. 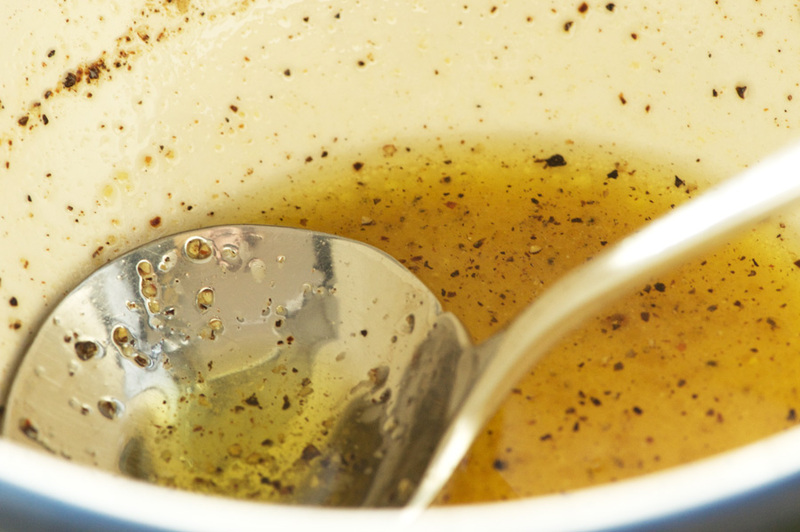 Make dressing: combine apple cider, cider vinegar, Dijon, salt and pepper. Whisk in olive oil until blended. 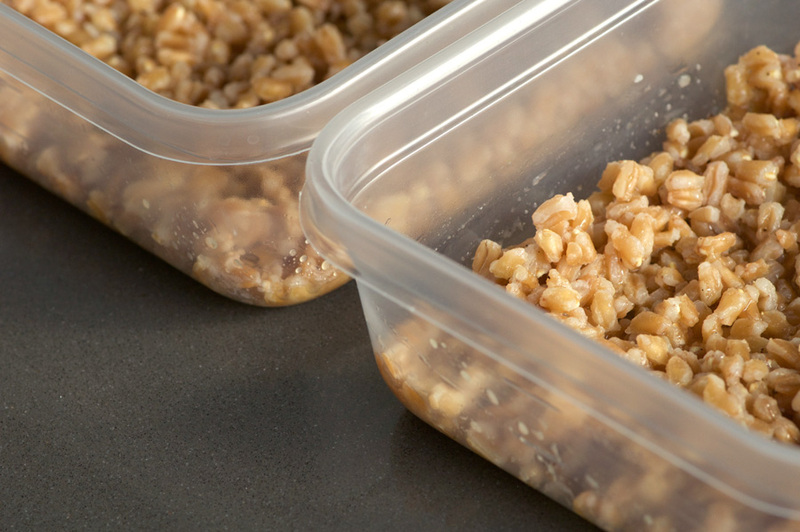 Once the farro is cool enough, divide it among four lunch containers spreading the grains to fill the bottom. Spoon the dressing over the farro and stir to combine. Add acorn squash in a layer on top, dividing between the four containers. Finally top with arugula and goat cheese slices. Seal and store in the fridge up to four days. Wrap four bundles of roasted pumpkin seeds in plastic wrap to take with the packaged lunch containers. To serve, either stir up in the container and top with pumpkin seeds right before eating, or invert onto a plate, stir, toss pumpkin seeds on top and enjoy! Note: recipe adapted from Roasted Acorn and Delicata Squash Salad on Epicurious.